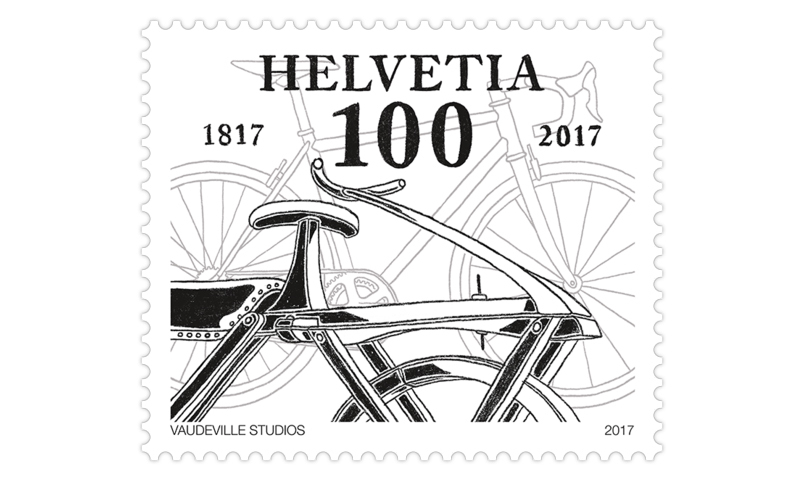 Bicycles are very popular in Switzerland, a haven for cyclists. So of course the 200th anniversary should be fittingly celebrated. 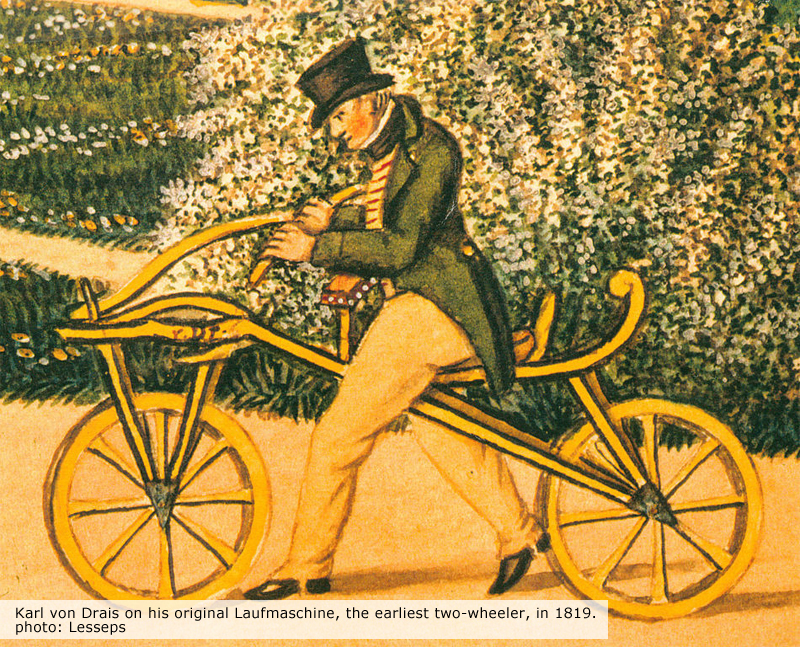 German inventor Karl Drais from Baden must have caused quite a sensation on 12 June 1817 as he rode through Mannheim on his self-constructed “running machine” at around three times the speed of walking. Patented under the name “draisine”, this new means of transport was soon forgotten, but not the idea behind it: The invention of pedals in 1866 soon led to the development of the high wheel or penny-farthing, which proved quite dangerous and was immediately banned in many places. 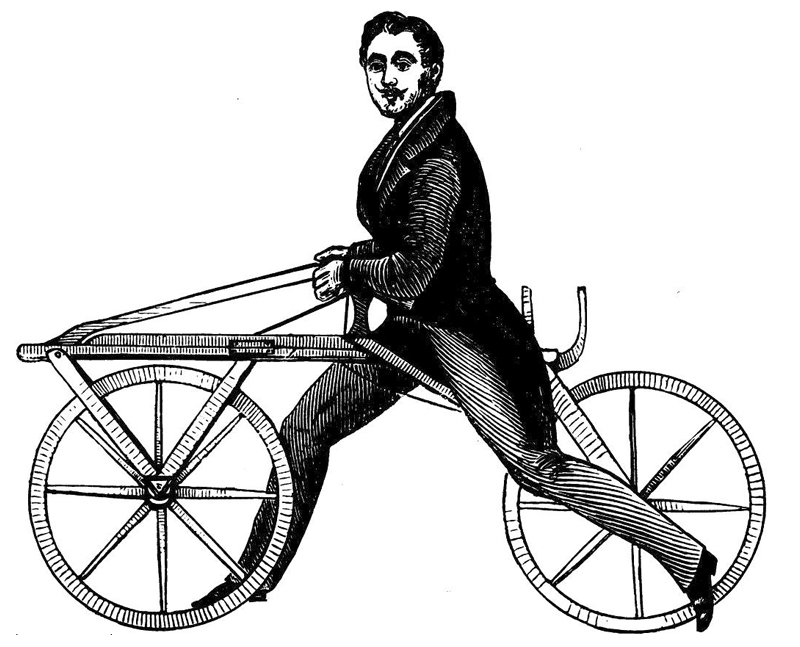 It wasn’t until the introduction of the rear wheel chain drive in the 1880s that the modern bicycle took off. Today the bicycle is seen as an efficient and highly ecological means of transport that enhances the quality of life. It doesn’t create exhaust or noise emissions and only takes up a few square metres of parking space. 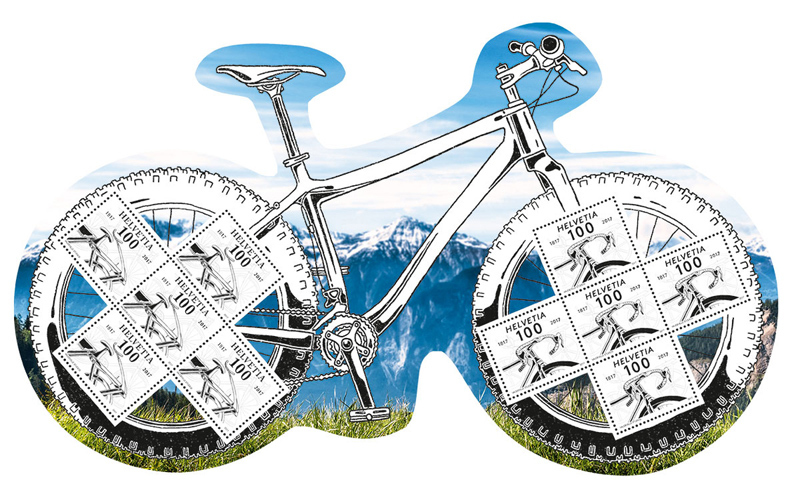 Swiss Post is also very much pro bicycles on account of their good sustainability qualities. The company encourages its employees to cycle to work and provides e-bikes free of charge. 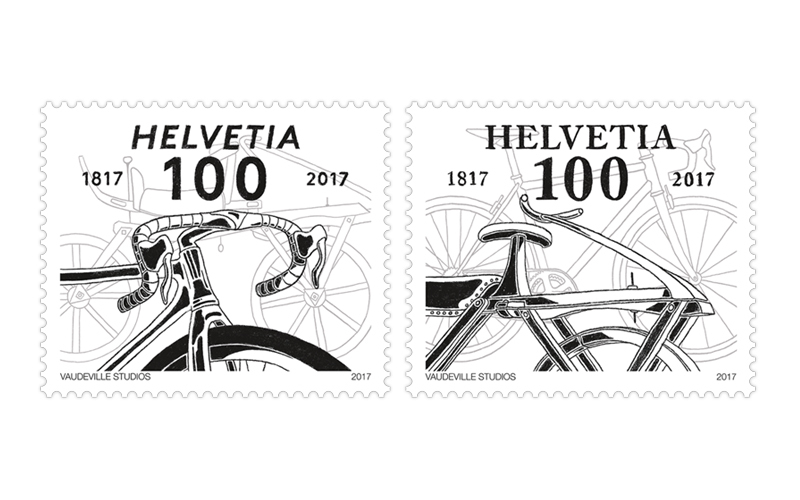 Consciously printed in black-and-white, the two special stamps both show the draisine and a modern bicycle. One stamp has the former in the foreground, the other the latter. 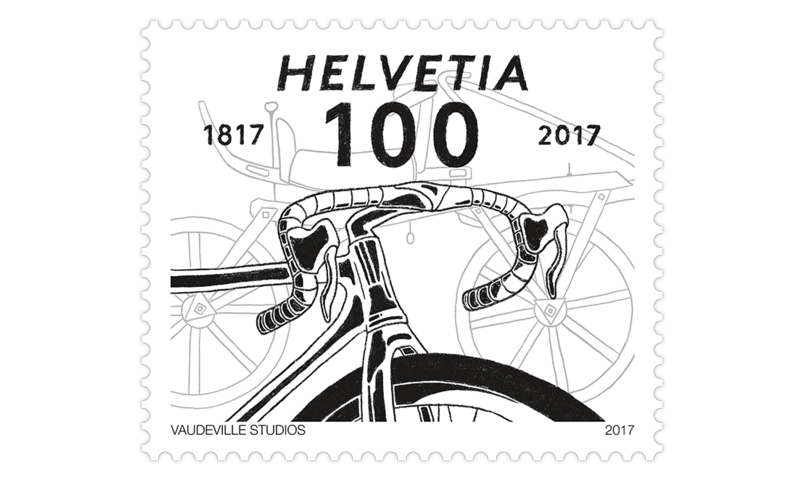 This limited edition special sheet in the shape of a bicycle was produced exclusively for collectors. It is not available at post offices and is not delivered as part of a standing order. Order this unique sheet online at postshop.ch or by telephone on +41 (0)848 66 55 44. Available while stocks last.